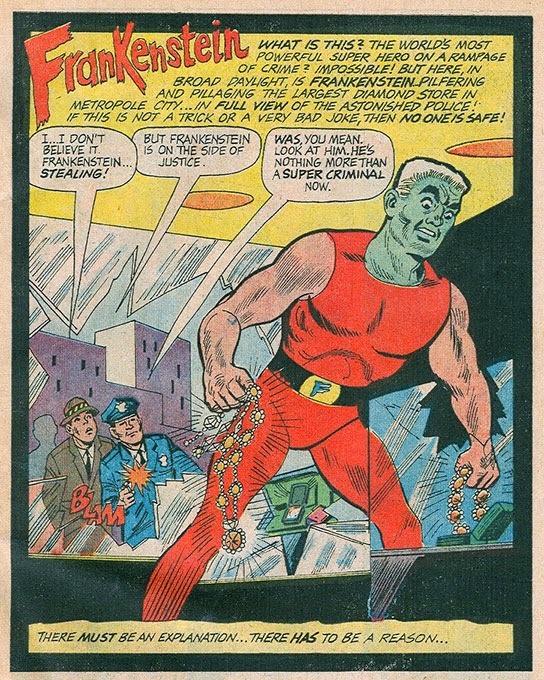 Hero Histories: Frankenstein the SuperHero "No One is Safe!" 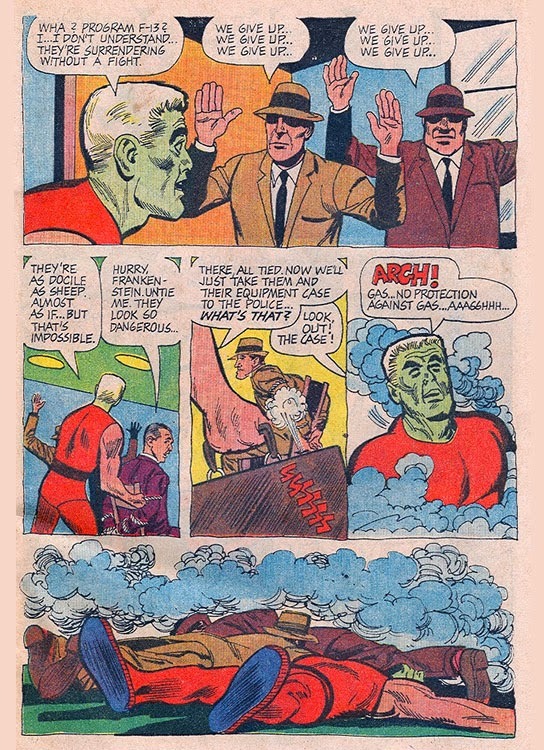 ...bet you thought we meant the Man of Steel, eh? 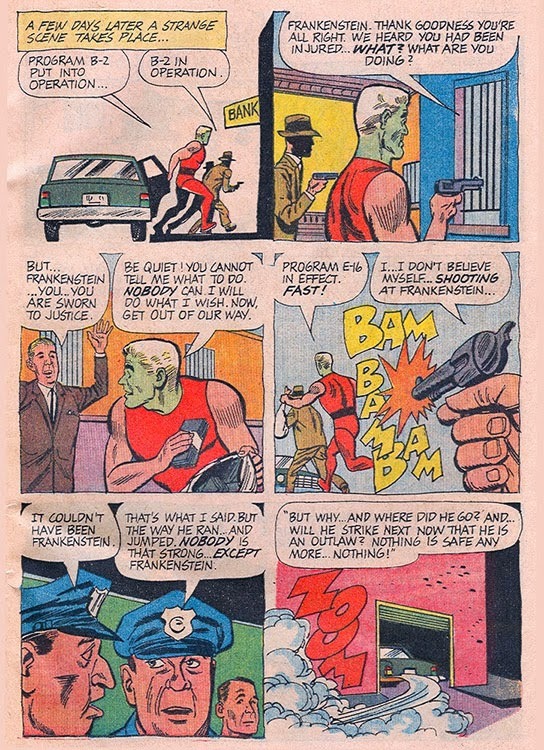 Can the Criminal Computer's hold over Our Hero be broken? 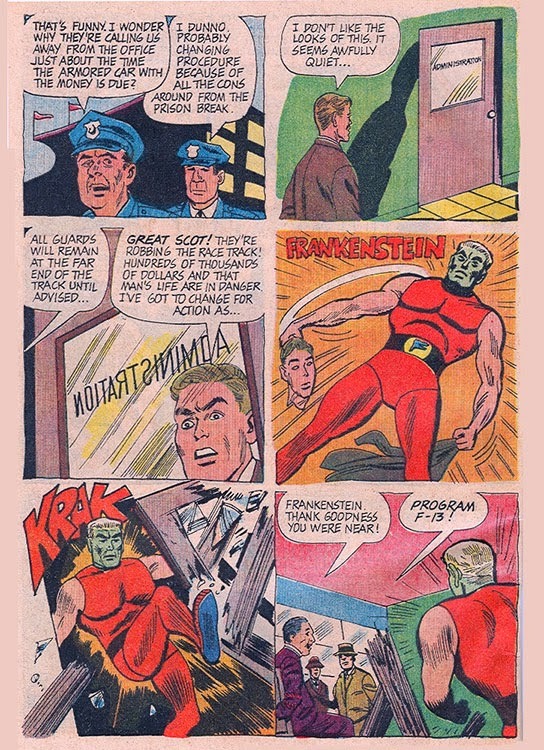 Will Miss Thrope discover Frankenstein's secret identity? 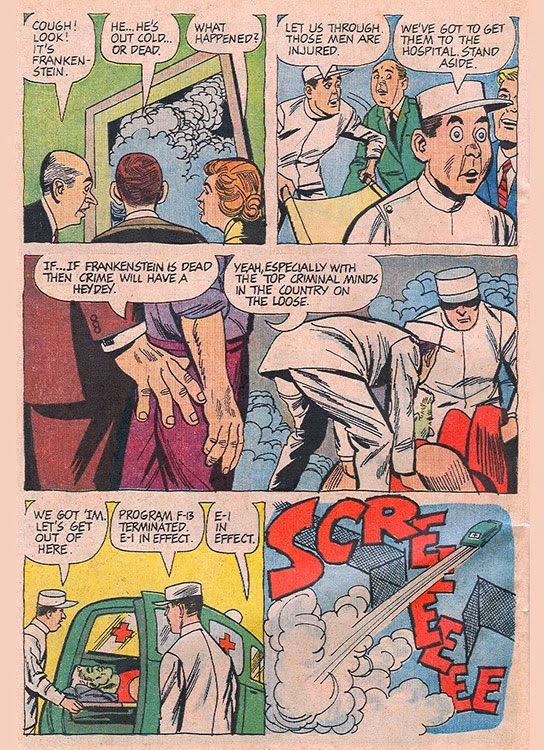 One hint...the silliest is yet to come! 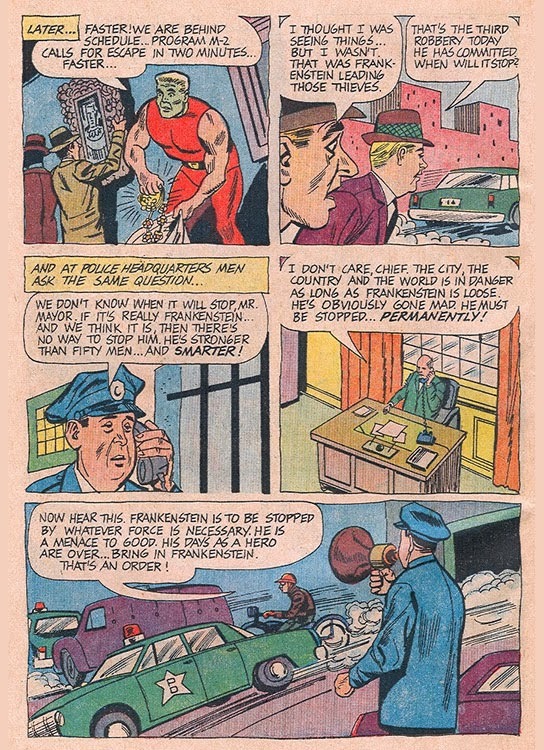 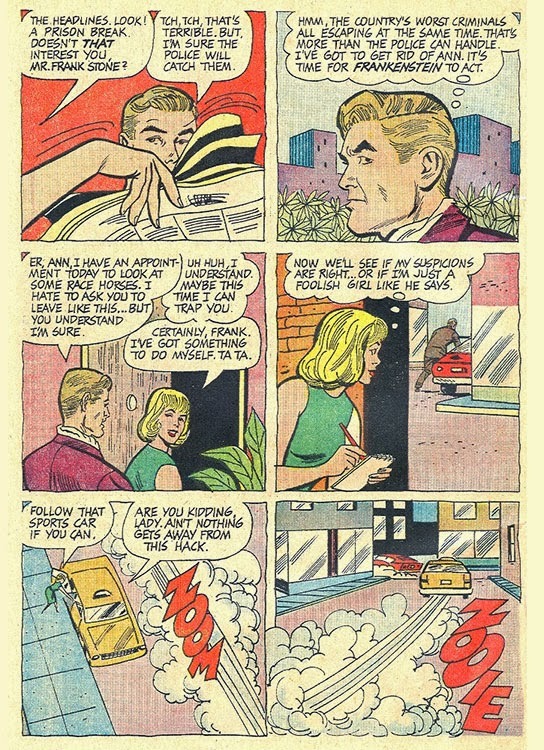 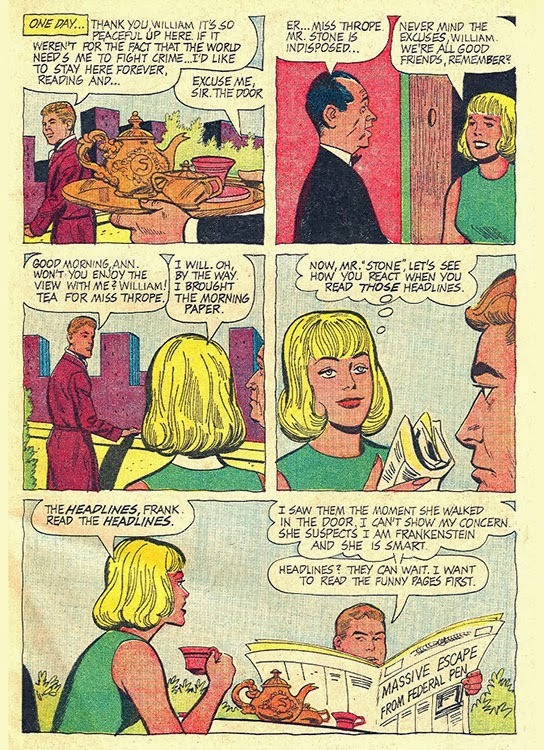 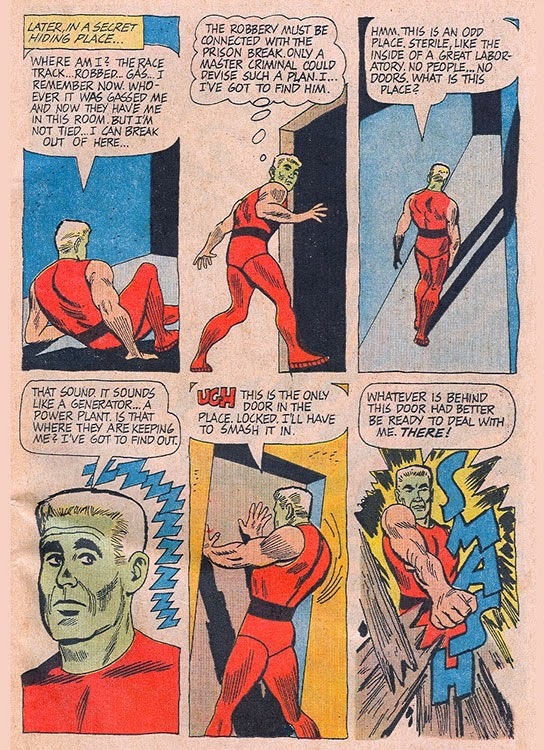 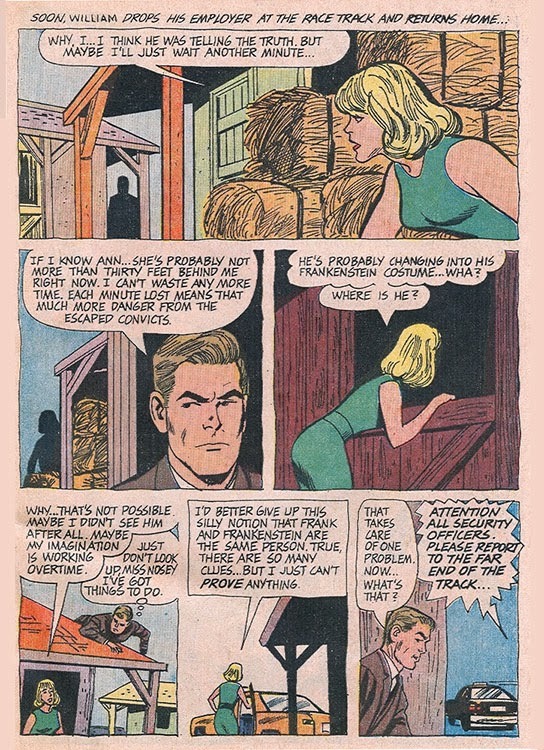 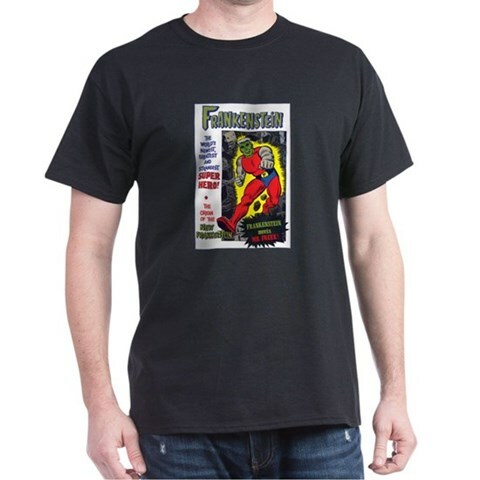 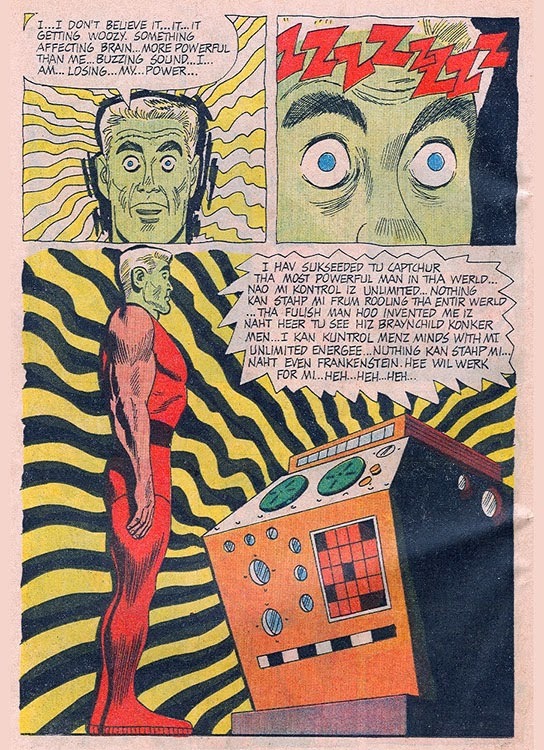 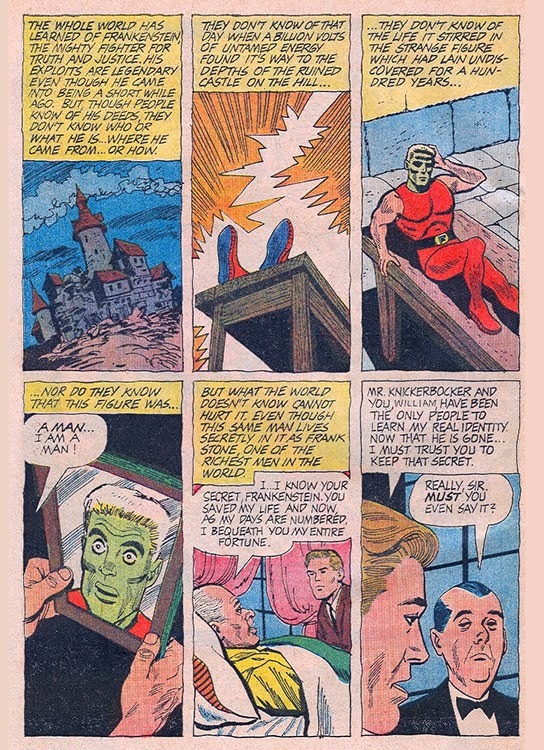 This odd, never-reprinted, bit of Silver Age Comic history is from Dell's Frankenstein #3 (1966), written by Don Segall and illustrated by Bill Fraccio & Tony Tallarico.